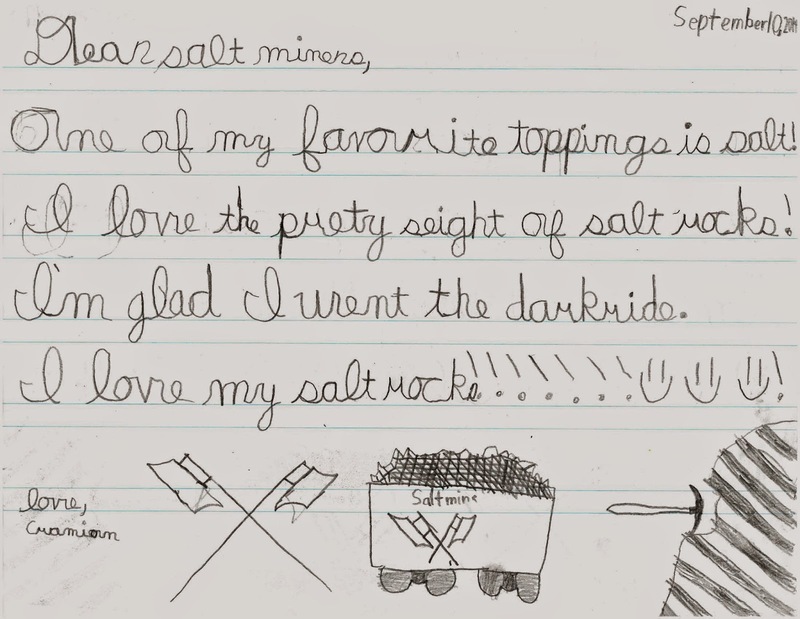 Strataca in Hutchinson, Kansas, received this letter in September of 2014 from a child who visited the museum that is 650 feet underground in a working salt mine. The Dark Ride is one of the options, where people are taken on a tram ride into recesses of the mine. At the end of it, they get to pick up some salt to take home with them.